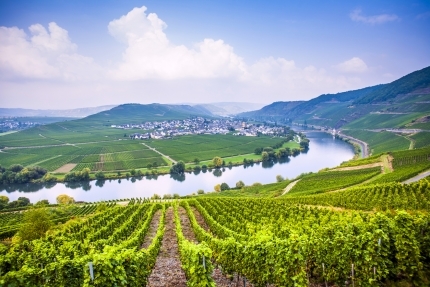 Enjoy Germany’s beautiful river landscapes as you cycle along the Moselle and Saar rivers. Using the barge as your floating hotel, you need never pack and unpack this week! This is a wonderful way to experience some of Europe's oldest and most enchanting cities. You'll discover stately castles built more than 1,000 years ago, towns with architecture that ranges from Roman to rococo and lush vineyards as you slowly drift along the river's banks through Germany. Take the time to explore the city of Saarburg, which is also known as the “Little Venice”. Ride along the quiet river taking in the half-timbered houses, farmland as well as Trier, Germany's oldest city, founded in 16 B.C. by Roman Emperor Augustus. Here you can see Roman, Gothic and Renaissance monuments and churches. The river winds between steeply contoured slopes, the river valley provides the perfect conditions for wine-cultivation, a perfect opportunity to hop off you r bike for a wine tasting. Stay active during the day and then relax aboard the boat which will be your floating hotel for a fabulous week. And if you do not want to cycle you can enjoy the tour on board and watch the world go by!